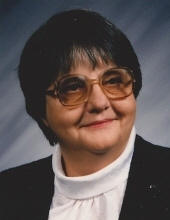 Margaret Roseanna Strebe “Granny”, 79, of Hobart, WI, passed away on Wednesday, February 6, 2019 surrounded by her family. She was born February 16, 1939 to Oscar and Mildred (Brozzo) Johnson in Winchester, WI. She graduated from Hurley High School and continued her education at County College in Ashland, WI and then UW-Oshkosh where she received her bachelor’s degree. Margaret served her country in the US Navy with the WAVES and was honorably discharged in 1959. On November 7, 1963 Margaret married Ralph Strebe in Wakefield, MI. Margaret made her career in the Pulaski School District where she taught 7th & 8th grade for 33 years when she retired in 2001. In her free time, she was a part of the Grass Roots Cribbage Club from 1999-2013, and enjoyed bowling, playing cards, going to bingo, and most importantly spending time with her family and friends. Margaret is survived by her three children: Carnnetta (John) Vandenack, Rose (Kevin) Johnson, and Tammy Krueger; her seven grandchildren: Josh Vandenack, Jamie (James) Dufek, Kasey (Anna) Strong, Brandon Cisler, Michael (Nessa) Krueger, Tabitha Krueger, and Bret Cisler; and her nine great grandchildren: Hunter Dufek, Emma Strong, Kalliste Krueger, Ethan Strong, Kolt Krueger, John Dufek, Eden Strong, Elayna Teller, and Maverick Vandenack. She was preceded in death by her parents Oscar and Mildred Johnson and Ralph Strebe. Family and friends may visit from 3:00 to 8:00 PM on Sunday, February 10, 2019 at RYAN FUNERAL HOME & CREMATORY, 305 N. Tenth St, De Pere. A service will begin at 7:00 PM with Judy Koeune-Brown offering prayers and Full Military Honors as well. Inurnment will be in Mt. Calvary Cemetery later this year. Please visit www.ryanfh.com to send condolences to Margaret’s family. A very big thank you would like to be expressed from Margaret’s family to Southern Care Hospice for all they have done for her and them. To send flowers or a remembrance gift to the family of Margaret R. "Granny" Strebe, please visit our Tribute Store. "Email Address" would like to share the life celebration of Margaret R. "Granny" Strebe. Click on the "link" to go to share a favorite memory or leave a condolence message for the family.